When your kids ask ‘mum what’s for tea?’ you’ll naturally want to reply with something that’s not only temptingly delicious, but also exceptionally healthy. Indeed, making sure that your children get to enjoy a varied and balanced diet that’s packed with wholesome nutrients is one of the greatest challenges you’ll face as a parent. Introducing your little ones to a selection of yummy superfoods, which are both safe for children and rich in the fibre, protein, vitamins, minerals and other essential nutrients that their growing bodies require, will go a long way to achieving that goal. Known as the ‘building block of life’, protein is crucial for the healthy growth and development of your little one’s cells, bones, muscle, cartilage, skin and blood. Protein also helps your child’s body to transform food into energy, fight infection and transport oxygen to where it’s required. Carbohydrates are your child’s main source of fuel – in fact, their central nervous system, kidneys, brain and muscles (including the heart) all require carbohydrates to function correctly. Fibre encourages a healthy bowel movement, helps to combat childhood obesity and reduces your child’s risk of developing heart disease or cancer in later life. 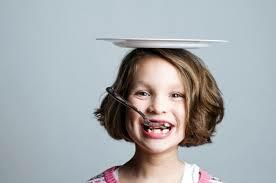 Healthy fats, such as omega-3 fatty acids, are another key source of energy for active children. Calcium – which is central to healthy bones and teeth, as well as blood clotting and nerve, muscle and heart function. Iron – which carries oxygen in the blood and helps to keep kids fully energised. Magnesium – which is a building block of the body’s cells, and is also important for energy production. Potassium – which is required for healthy blood pressure, and keeping your little one’s heart pumping and muscles working whilst running around and playing. Zinc – which is required for healthy growth and development. It also enables your child’s immune system to combat viruses and other germs. Vitamin A – which promotes healthy vision (especially colour and night vision) and gives their immune system a welcome infection fighting boost. Folic acid – a B vitamin that’s necessary for the healthy growth and development of children’s cells. Vitamin C – which helps to prevent colds and flus and accelerates the healing of wounds, such as scraped knees and other childhood mishaps. Antioxidants can help to protect children from harmful substances that may damage cells and eventually lead to disease. These days encouraging your children to enjoy a healthy diet that’s rich in beneficial nutrients, including those listed above, needn’t be a struggle – that’s because there’s an exciting range of nutrient-dense superfoods, which are both safe for children and easy to incorporate into mealtimes, now readily available from all good health stores. So why not give your kids the finest start in life by incorporating these six sensational superfoods for children into their eating regime? It’ll be the greatest nutrtitional gift of all! Raw cacao products, such as organic cacao nibs, are simply loaded with valuable nutrients that are favourable for children, including vitamins (especially vitamin C), minerals (they’re rich in magnesium and also contain generous amounts of iron and zinc), fibre and essential fatty acids that can help to improve their concentration at school. Few children will turn up their noses at this moreish treat that can be added to trail mix or used as a yummy ingredient in raw chocolate bars and desserts! The irresistibly sweet, honey-like flavour of organic mulberries makes them a popular superfood for children. Which is good news, because they’re crammed with fibre, vitamin C, calcium, iron and antioxidants, and thus provide a wide range of important health benefits, including improved vision. Allow your kids to enjoy organic mulberries straight from the bag as a sensible snack between meals, or scatter generously over breakfast granolas and fruit salads. Regardless of how you serve them, one thing’s for sure – your kids will keep coming back for more! This wonderfully fruity powder not only tastes like a delicious combination of grapefruit, vanilla and pear; it’s also brimming with child-friendly nutrients, including vitamins A, B1, B2, B3, B6 and C (organic baobab powder boasts a whopping six times more vitamin C than oranges), the minerals, calcium (in fact, it contains more than twice the calcium of milk), potassium, magnesium, iron (the baobab fruit contains 3.6 mg of iron per every 100 grams, which is more than red meat, lentils or spinach) and zinc, as well as plenty of dietary fibre. Try stirring organic baobab powder into your child’s favourite smoothies and shakes, sprinkle over breakfast granolas and fruit salads, or use to enhance a variety of healthy snacks, such as raw chocolate bars and other sweet treats. Organic coconut oil is made from the aromatic flesh of the coconut and is laden with healthy vegetable saturated fats, including omega-3, omega-6 choline and lecithin, which supply your little ones with boundless energy. It also contains lauric and caprylic acid, which have been linked to strengthened immunity. Consuming regular quantities of organic coconut oil may even help to protect your children’s teeth from decay. Indeed, scientists at the Athlone Institute of Technology in Ireland recently discovered that coconut oil can halt the growth of streptococcus – the bacterium that’s largely responsible for dental decay. Organic coconut oil may be enjoyed as a healthy alternative to jams and spreads and is the perfect ingredient in raw chocolate bars and desserts. Organic camu camu powder is a tasty fruit extract made from camu camu berries and is arguably one of the most overlooked superfoods for children. Which is a great shame, because it’s literally bursting with valuable nutrients that are especially beneficial for kids, including antioxidants, B vitamins, vitamin C (camu camu berries contain between 25 to 50 times more vitamin C than oranges), and the minerals, calcium, phosphorus and iron. Your little ones simply won’t be able to resist organic camu camu powder in smoothies and shakes or strewn liberally over breakfast granolas and desserts. Organic spirulina powder might not be the first superfood that springs to mind when planning children’s meals – however, the unique flavour of this versatile supergreen can be readily masked in fruit smoothies and juices, which means that your kids get to benefit from the wealth of nutrients that this freshwater algae offers. Named “the best food for the future” by the United Nations, organic spirulina powder is a complete source of protein that’s also rich in calcium and contains fibre, vitamins, magnesium, potassium, iron, copper and manganese to boot. 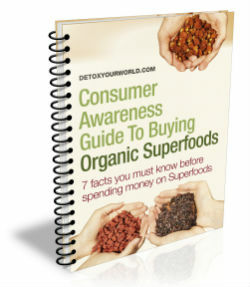 Tags: buy organic superfoods online, buy rawfood online, buy superfoods online, nutrients for children, sensible snacks for children, superfood snacks for children, superfoods for children, superfoods for kids, which superfoods are safe for children, which superfoods are suitable for kids? I was giving Chia Seeds to my daughter, but she never really likes it now I think she will love Camu Camu powder. very intresting to know this information thank you very much.